Rubber to metal bonded rectangular elements inclined to achieve maximum load and deflection using a combination of compression and shear loading. Rubber sandwich elements are effectively protected by the top casting and its extended skirt. 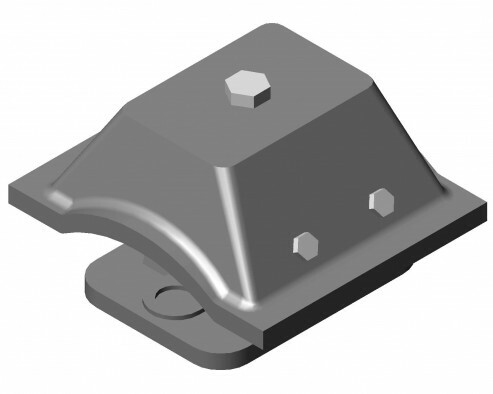 Two different horizontal stiffness axis enable optimum system characteristics & vibration isolation to be achieved using careful orientation of the mounting.